In her quest for her own identity, Kara Danvers/Kara Zor-El learns much. Tan-On is not what he seems. He tells her that he came to Earth as an ambassador. Yet, he was captured and tortured. Now he seeks revenge on the entire planet Earth for the wrongdoings committed by a select group of the population. If Kara doesn't stop Tan-On, the entire world, beginning with Midvale and her friend Dolly, could be completely exterminated. The battle between Kara and Tan-On rages with the deaths of the scientists whom we later learn are part of LexCorp and Lex Luthor's quest to control Kryptonians' powers. The Lost Daughter of Krypton tells her foe of their homeworld's demise. He doesn't believe her and lashes out by throwing Dolly to her death and attempting to destroy Midvale. Kara rescues Dolly before her final battle (at least for now) with Tan-On. Her powerful super breath stops an explosion from decimating the town, but Tan-On is nowhere to be found. He's flown off to parts unknown. Meanwhile, Lex Luthor, is searching for both Kara and Tan-On while Supergirl, as Dolly calls her, goes to Metropolis to seek advice and answers from the newly discovered Superman. Story - 5: Okay, this issue does feel like three issues have been crammed into one issue. However, that does not hinder a comic that is really a great read from start to finish. 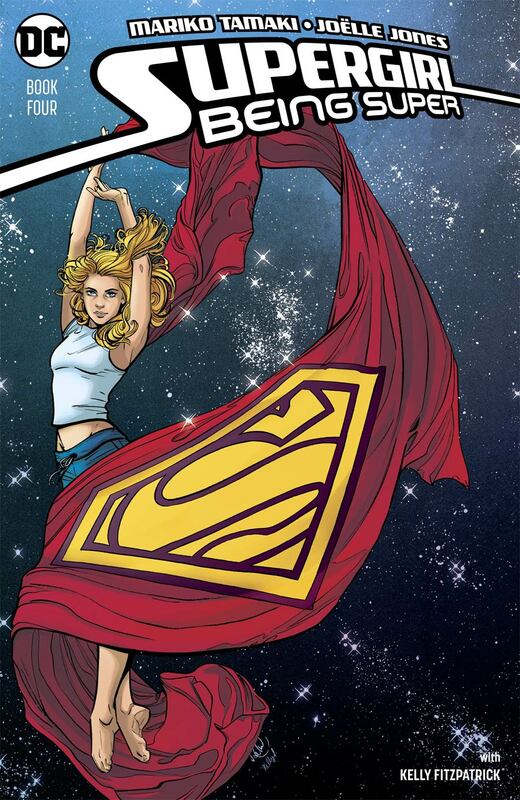 This is Supergirl's 'Earth One' with a cameo by Superman that I had not expected. This better have a sequel, and it better come out soon with some spin-off series. Art - 5: Both cover and interior art are excellent. They complement the story and this series perfectly. Cover Art - 5: It's a pity I can't give this higher than a five.